Real Time Gross Settlement [RTGS], introduced by us as Union Bullet, is the fastest possible mode of money transfer through bank channels available in India. It's a fund transfer mechanism where transfer of money takes place from one bank to another in real time and on 'gross basis'. Presently, there are over 50000 bank branches enabled for remitting and receiving funds through RTGS. RTGS is primarily for large value remittances. The minimum amount to be remitted through RTGS is Rs.2.00 Lakh. IFSC (Indian Financial System Code) of the beneficiary Bank/Branch. Full account number of the beneficiary. The facility is also available through online mode for all internet banking customers. For corporate customers, bulk upload facility is also available at branches. Monday to Friday:8.00Hrs to 16.20Hrs. Bulk RTGS File should be uploaded before 15:50Hrs for same day processing. Saturday(except 2nd & 4th Saturdays):8.00Hrs to 16.20Hrs. Bulk RTGS File should be uploaded before 15:50Hrs. Under this facility money will be credited to the beneficiary account instantly on 'real time' basis. Union Bank offers RTGS facility to its customers through all its branches. Q1. What is RTGS System? A. The RTGS stands for 'Real Time Gross Settlement'. RTGS is a funds transfer system where transfer of money takes place from one bank to another on a real time basis. 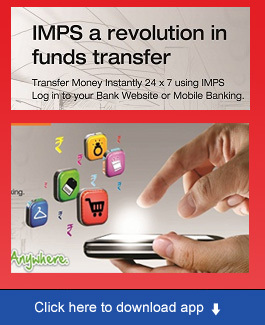 This is the fastest mode of funds transfer available in India through banking channel. Q2. Is it necessary that I should have an account with us? A. Yes. Non-customers can not avail this facility. Q3. Is there any limit with regard to amount? A. The RTGS system is primarily for large value transactions. Minimum amount to be remitted through RTGS is Rs.2 lakh. There is no upper ceiling for RTGS transactions. Q4. Can the money be transferred to any Bank in the country. A. No. Money can be transferred to only those Branches of Banks where RTGS facility is enabled. However, presently, Reserve Bank of India has designated as many as 45000 branches. The number is increasing by the day. Q5. How do I know whether the Branch where the money is to be transferred is enabled for RTGS? A. You can either get the information from http://www.rbi.org.in/scripts/rtgs.aspx published and updated by RBI from time to time OR you may get the information from the Bank where you are operating the account. Q6. What procedures should I follow to transfer the funds? A. It is very simple. Fill up the application wherein you have to give the details of beneficiary account no, amount to be transferred, beneficiaries name, Bank and Branch and IFSC code of the beneficiary bank. Q7. What is IFSC Code and where would I get it? A. Indian Financial System Code (IFSC) means a unique code of 11 digits of the NEFT/RTGS enabled Branches. Normally, this code will be printed on the cheque books OR it may be obtained from the branch where the account is maintained. Q8. How long will it take for me to transfer funds and for the beneficiary to get the funds? A. Under normal circumstances the beneficiary branches are expected to receive the funds in real time as soon as the remitting bank transfers funds. The beneficiary bank has to credit the beneficiary's account within two hours of receiving the funds transfer message. Q9. Till what time the remittance is accepted? A. Up to 4 pm on (Monday to Saturday Except 2nd and 4th Saturday). Q10. Can I initiate Stop Payment? A. No. Once the transaction is put through, you cannot stop the payment. Q11. Can I get the funds from my clients in the same way? A. Yes, Tell your clients to transfer funds through RTGS and give your Branch's IFSC code and 15-digit account number to your client. Q12. How do I come to know about the funds transfer? Can I track the transaction in any way? Can I get acknowledgement? A. You can track the transaction. Either you can get the confirmation from the beneficiary himself OR from your branch, from where the transaction is initiated. You can receive an electronically generated acknowledgement. Q13. In case of non-credit or delay in credit to beneficiary's account, whom should I contact? A. It is expected that the receiving bank will credit the account of the beneficiary instantly. If the money can not be credited for any reason, the receiving bank would have to return the money to the remitting bank within 2 hours. Once the money is received back by the remitting bank, the original debit entry in the customer's account will be reversed. 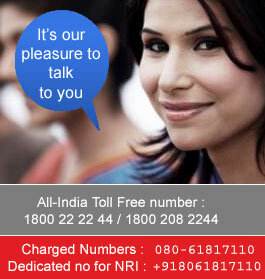 In any case, you can contact the Branch itself from where you have requested for funds transfer for any clarification. Q14. Can I send remittances abroad through RTGS? A. No. It is applicable only within the country. Q15. Can I receive / send remittances from NRI Accounts? Q16. Whether I can transfer funds through RTGS using Internet? A. Yes. Bank Offers online RTGS facility through its e-Banking web sitewww.unionbankonline.co.in. This facility is available for users with valid user ID and PIN. Q18. How it is beneficial compared to other modes of transfers? A. The RTGS is the fastest mode of funds transfer available in India.